Last summer, I had a terrible experience with my lovely chicken and vegetable garden. Turning all the chicken into a savory soup crossed my mind. I’m new at home gardening. I planted my favorite vegetables, herbs, spices and fruit trees. I also had a few chickens that I reared free range in my backyard. In a matter of hours, the chicken decimated my healthy vegetable garden. It hurt me to the core. It is an experience I would not like any gardener to experience. The thought of eliminating all the chicken for the sake of my garden crossed my mind. But, I loved my hens as well. So, I had to find ways to ensure there is peaceful coexistence between the chicken and the garden. 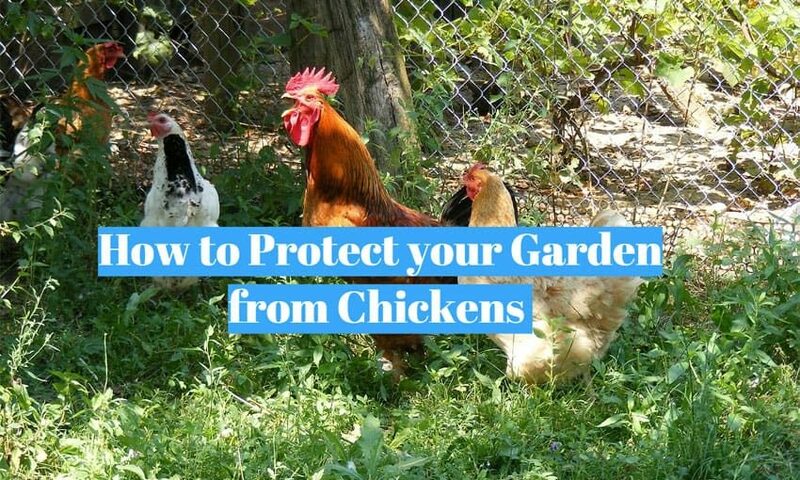 Finally, I can share with you some valuable tips on how to protect your garden from chicken. Why Are Chickens So Dangerous to Gardens? 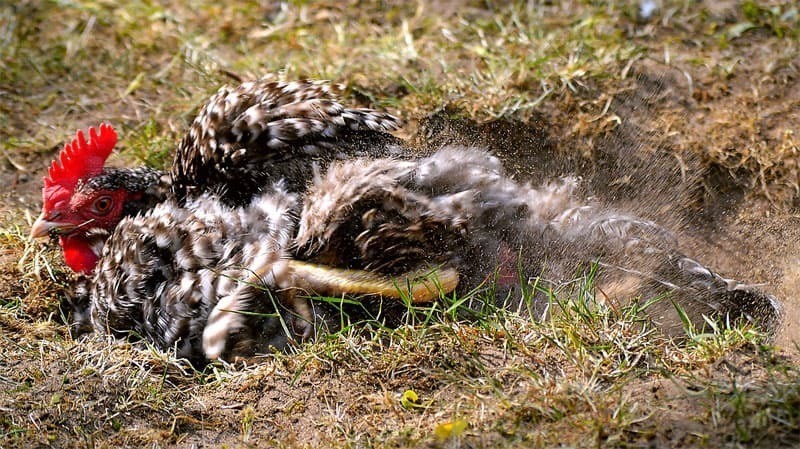 Chickens, especially those reared using the free-range method, scratch the ground in search of bugs. While doing this, they can expose seedlings and interfere with mulched pathways. Not surprisingly, the birds prefer plant roots. The mulch retains water at the roots of the plants attracting bugs. The aggressive scratching can disrupt tender plants and wreak havoc in your garden. Happy coexistence between your garden and chickens means a lot. You can enjoy eggs for breakfast and have an organic vegetable for dinner. It all boils down to proper planning. Here are the methods I use to protect my tender plants from chickens. Chicken Proofing Method One – Plants In, Chicken Out. This is the easiest method to deter chicken from attacking plants. The most uncomplicated and most inexpensive fence is one that uses chicken wire and support. You can either protect a specific plant or the entire garden. In the case of a particular plant, insert a tomato cage around the plant. Alternatively, drive two to four stakes around the plant. You can then wrap the chicken wire around the cage or stakes. Weave the stakes into the mesh vertically to secure them in place. Make the structure go only 15 to 30 centimeters high. That height is sufficient to keep most chicken out. I use this method to protect my recently sown seeds or seedlings. It is as easy as spreading a broad wire cloth over the whole patch of the ground. I realized that chickens hate the feeling of wire under their feet. I bought a wire deer netting with tiny holes. What followed was a broad sheet of that wire netting over the area I desired to protect. I then secured the edges of the sheet at size points to prevent it from lifting off. I learned an alternative to my method. You can buy wire hardware cloth. Cut out a rectangular area that is large enough to cover your seedbed or seedlings. You can then cut a small square at each of the four corners of the triangle. Bend the edges of each of the corners of the squares. This will create perpendicular legs on which your wire cloth will stand. Place the resulting improvised wire box over the garden area you wish to protect. Chickens will not set foot on your seeds or seedlings. Chickens can fly, but they know it requires extra effort. They will not bother plants on container because of the extra energy they need to reach there. Well, you cannot grow every plant on a container. You can use containers to protect a few plants that are sensitive to any disturbances. I had a cockerel that was so aggressive. So, it forced me to take a few extra steps even with the containers to keep him off. Once I grew the plant, I placed the container on top of my deck to intimidate the cockerel. You can even set the pot with the tender plant on your porch for additional protection. Another way to deter chicken from destroying your garden is by scaring them away. You can achieve this in several ways. You can hand them a quick spray with water using your regular garden hose. It is essential you keep the pressure of the water low so as not to hurt your birds. You will need a certain level of consistency and determination. Chickens are naughty or merely forgetful. They will return soon after the first spray you give them. But chickens learn through conditioning. Soon they will begin to associate your garden with the water and avoid it altogether. At times it is difficult to be present all the time to spray the birds with water whenever they wander into your garden. Installing a motion-activated water-sprinkler would be wise. It will do well in repelling the chicken when you aren’t available. You can grow unappealing herbs. I learned that chicken finds some herbs repugnant. So, I planted these species to form a perimeter around the appealing plants. The smell of unpleasant herbs manages to ward off the chicken from the delicate plants. Examples of unappealing herbs include lemon balm, oregano, lavender, mint, chamomile, marjoram, and sweet woodruff. Established perennials are deeply and firmly rooted to the ground. Chickens will find it difficult to scratch them even if curiosity gets the best of them. You can also transplant established perennials from seeds or seedlings. Such perennials are capable of withstanding the damaging effects of determined chickens. Chickens hate the odor of some spices. They will tend to avoid places that reek of such spices. Examples of spices that your birds will find abominable are garlic, paprika, curry powder, salt, cayenne pepper, and black pepper. If the birds wander into a ground-covered by any of the spices or a blend of two or more, the spice will coat their legs. This will create a burning sensation much to the dread of the birds. Can the burning sensation hurt them? It's good to ask since the life of the poultry is a concern. The feeling is unpleasant, not harmful. The birds will flee from your garden never to return. Scattering lemon peels or spraying lemon juice around your vegetable yard could deter your biddies. Most chickens hate the smell of lemon and will stay as far away as possible from where they encounter such odor. If they peck the lemon peel, the sour taste will also repel them. Bare patches on the ground are a haven for chicken. The trick is to keep the field of your garden densely crowded with plants but then have a separate bare ground in view. Most chickens will not bother with the covered ground but will get attracted to the bare ground. The chicken will use the bare ground for a dust bath. They will also poke and scratch the ground for bugs. A great idea is to sprinkle diatomaceous earth on the open field to discourage chicken mite. Repelling your hens from attacking your garden could mean you plant another garden just for them. The chicken garden should have low-growing trees, and bushes to shelter them the sun and predators. Try to fill the chicken garden with appealing and healthy edible bushes for them to find something to nibble on. Examples include blueberry and elderberry bushes. I find the use of edibles in my chicken bush rewarding because the cost of feeding the birds is significantly reduced. Finally, you can enjoy a peaceful coexistence between your lovely birds and your garden. While each of the methods can work individually, I can guarantee you greater levels of success if you use a combination of two or more ways. Some chickens are so determined to finish what they started. You may not deter them when you do it once. So, some level of consistency is necessary if you must succeed in protecting your garden from chickens. Only this way can you get an optimal reward from your garden and your poultry.